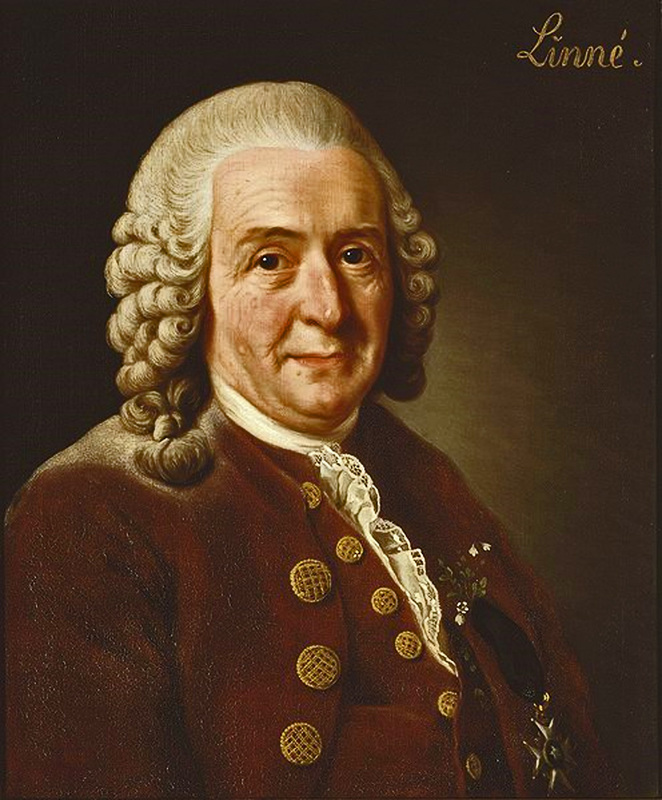 Swedish botanist, physician, zoologist, and taxonomist Carl Linnaeus was born on 23 May 1707 in southern Sweden, specifically in rural Småland, the city of Råshult, an area dominated by high forested plains an poor soils unsuited to agriculture but perfect for gnarly trees, scrub shrubs, and hardy mountain herbs. The people who populated that land were an independent sort, to say the least. His father, Nils Ingemarrson Linnaeus, broke the mold, as his ancestors had, before him, taken new family names in each generation, in accordance with the ancient patronymic system of Scandinavia. Thus, from his father’s name, Ingemar Bengtsson, Nils took the name Ingemarrson (and Carl’s patronymic name would have been Carl Nilsson). But Nils wished a college education, and on entering the University of Lund it was required that he arrive bearing a permanent surname. Nils adopted the Latinate name Linnaeus, to honor a giant linden tree that grew on the family homestead. He spelled the name with the æ ligature, as did his son Carl, throughout his lifetime, in all his handwritten papers. Nils was fond of plants, and spent much time in his garden. He often showed Linnaeus flowers, telling him their names. The influence was powerful, as whenever Linnaeus was anxious it was necessary only to give him a flower to calm his state of mind. As a young boy he was gifted a small parcel of earth in his father’s garden in which to grow plants.